The BMW M portfolio has just got more promising with an exciting new member to the family. BMW fans can look forward to a whole new era with the 2019 BMW M2 Competition. Born out of BMW DNA, it is not all out with the old as designers have kept those much-loved parts of the M2 Coupe that entrenched the model in enthusiasts’ hearts. Make us here at BMW of El Cajon your preferred BMW specialist and get all your BMW questions answered. The all-new 2019 BMW M2 Competition keeps hold of well-recognized exterior characteristics such as its BMW M compact proportions, and engineering design feats like the BMW M TwinPower Turbo inline 6-cylinder motor. Other popular M2 characteristics that have remained include a standard manual transmission and rear-wheel drivetrain. What’s new in the BMW M2 Competition? 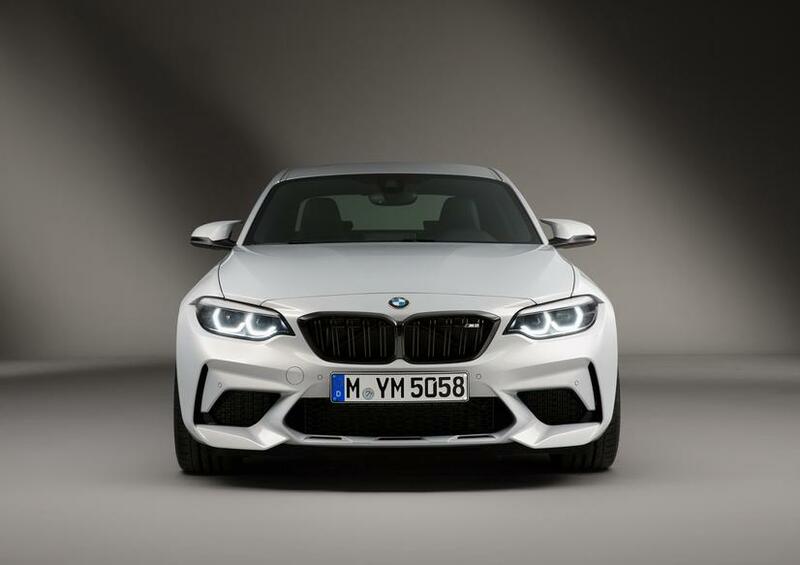 The distinctive M design has been equipped with a totally new engine inspired by the performance-focused engines of the BMW M3 and BMW M4, making the newest M2 insatiable for speed. It can go from 0-60 in 4 seconds with the inline 6-cylinder engine with M TwinTurbo technology. It can produce 405 horsepower and 406 lb-ft of torque. The highly impressive powertrain is further enhanced with a dual-exhaust system featuring electronic flap control that gives it the thrilling M sound. The interior cabin is a real treat for BMW fans which draws attention to the bucket-styled M Sport seats in black leather. Looking for the 2019 BMW M2 Competition for sale El Cajon, CA? Make BMW of El Cajon your first stop. Would you like to test drive a 2019 BMW M2 Competition near Kearny Mesa, CA? Visit us at BMW of El Cajon where you will find all the top models of this luxury world-renowned car brand. Step into the luxury of the 2019 BMW M2 Competition and you won’t want to step out again. Contact us today to learn more!